Coroner’s verdict: Adeleke died of drug overdose – Royal Times of Nigeria. 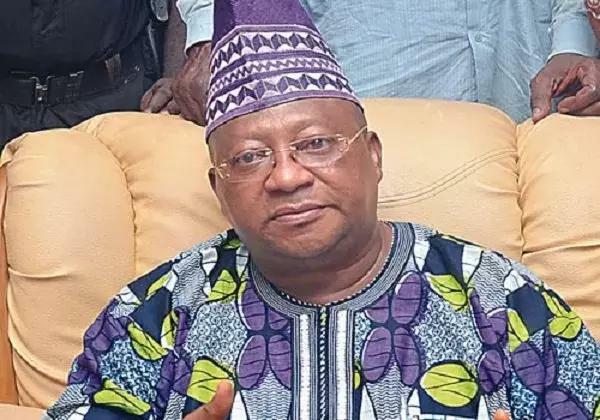 The Coroner appointed by the Osun Government to investigate the cause of death of Sen. Isiaka Adeleke has declared that his death was caused by drug overdose. The Coroner, Chief Magistrate Olusegun Ayilara while giving his verdict in Osogbo on Tuesday, said all the evidence before him in no way pointed to poisoning as the cause of death of the late senator as alleged in some quarters. “I have critically gone through all the evidence before me. From the totality of evidence, the possibility of poisoning of the deceased is not sustainable. “I have not been able to trace any link to poisoning by anybody. The autopsy report and also the toxicologist’s report are very specific to say there was no trace of poison or heavy metal in the blood of the deceased. Ayilara said the nurse who treated the deceased before he died, Mr Alfred Aderibigbe, tried to puncture the scientific evidence, claiming he did not give him overdose but the evidence he gave in court and the police statement he gave were contradictory. “The deceased did not die of food poisoning, the deceased has an administration of overdose of sedative and analgesic by an unqualified personnel, Alfred Aderibigbe, through intravenous means which action was hastened by the presence of alcohol in the system. “The deceased had patronised the said Aderibigbe for about 20 years and had taken treatment from him without doctor’s prescription and that the high dose of sedative and analgesic with the mode of administration caused his death. ‘’The coroner, however, recommended that the qualification of Aderibigbe should be further investigated to be sure he was qualified as he claimed and that the office of the Department of Public Prosecution should look into the case file of Aderibigbe with them with a view to determine the appropriate charges, if any, to be pressed against him.